A few hours before sunset we arrived at a rather empty trailhead parking lot. During peak season, this parking lot is jam-packed with cars and flooded with tourists, day hikers, and backpackers. Obtaining hiking permits for Havasupai during the tourist season is extremely difficult, as many backpackers book permits months in advance. 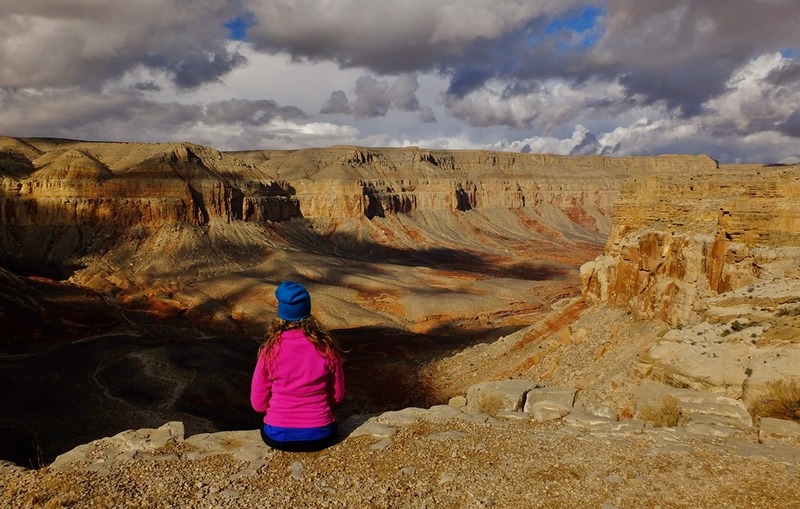 If you are seeking a quieter more tranquil Havasupai experience, I highly recommend visiting during off-season. 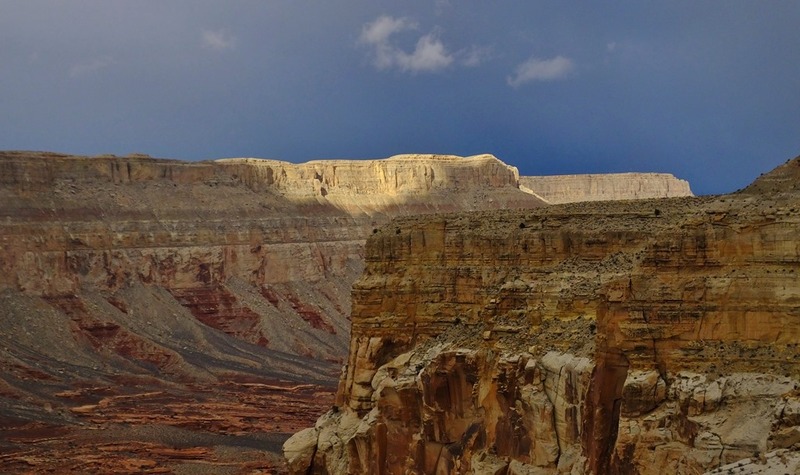 As a helicopter flew overhead, I was quickly reminded that tourism is the main economic base; providing jobs for the various tribal enterprises such as the Supai Lodge, Tourist Office, Store, and Cafe. Helicopters and mules transport all the supplies down into Supai Village. If backpacking ten miles down to Havasupai Falls is not your cup of tea; then flying in by helicopter or a canyon mule ride are viable $$ alternatives. 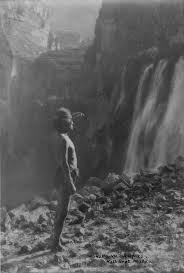 The Havasupai roamed the vast area of the upper plateau regions, subsisting by hunting and gathering, prior to the Grand Canyon being turned into a nation park in the early 1900’s. During the spring and summer months, they moved back to the Canyon and planted gardens. 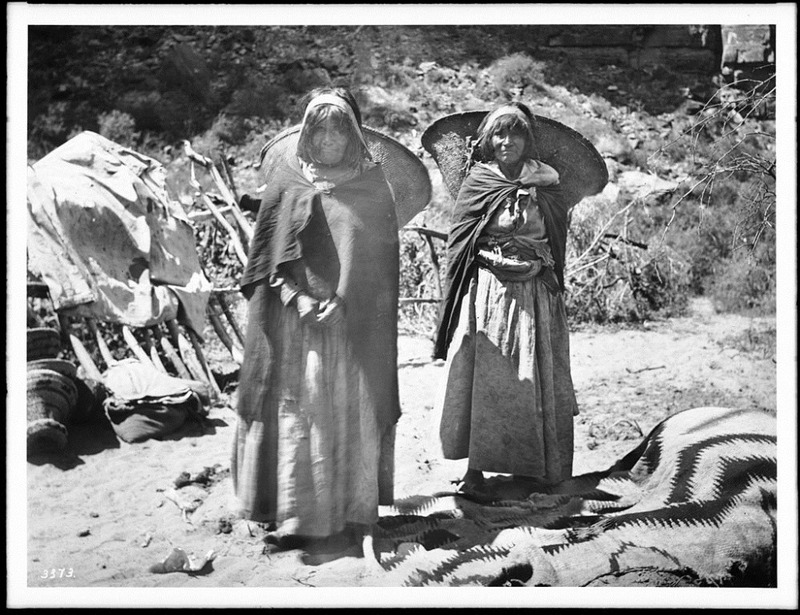 The federal government created the reservation in 1882, resulting in loss of almost 90 percent of the Tribe’s original land. 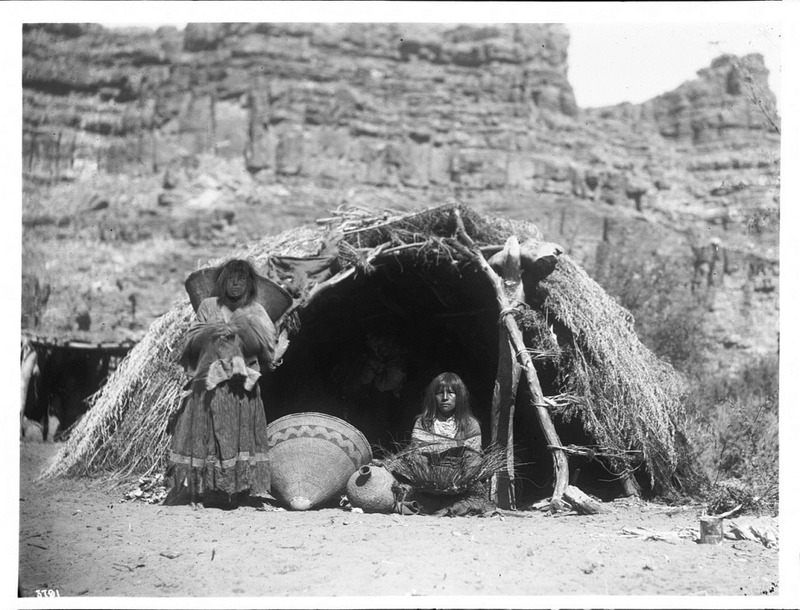 Confining the Tribe to only 518 acres, it forced families to rely more on farming and ultimately seeking wage labor outside the canyon. Over time, the Tribe began to rely solely on tourism, as people started visiting their beautiful homeland. 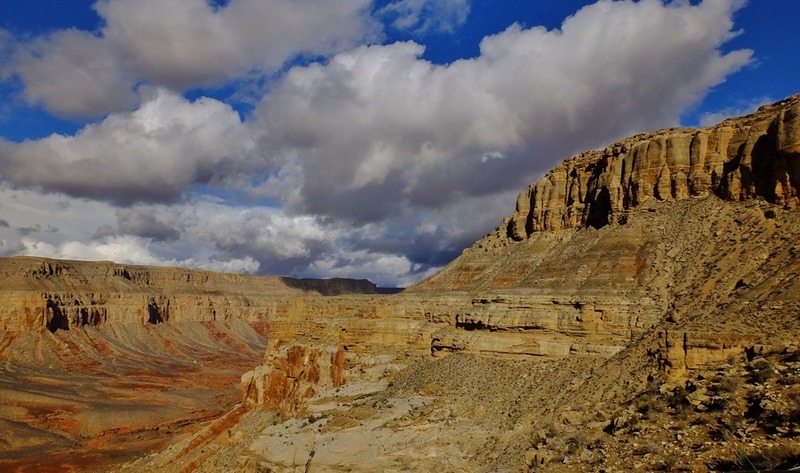 In 1975, Congress re-allocated 185,000 acres of its original hunting grounds back to the Havasupai. 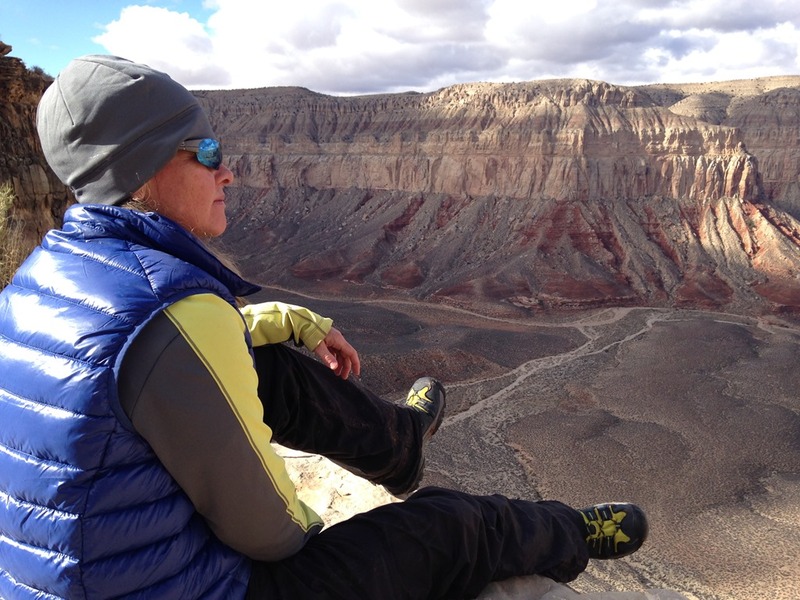 Forty years later, I find myself looking down into the sacred lands of the Havasupai. With only 650 recorded Tribe members, they are considered one of the smallest Indian Tribes in the nation. As Clarissa and I enjoyed our late afternoon cloud show, I wondered just how cold our night in the car would be. With expected overnight temperatures in the high teens, my four season tent would be the warmest option as opposed to the Suburban icebox. Unfortunately, tent camping at the trail head parking lot is not permitted; so tonight’s base camp would be an inflatable mattress squashed into the van’s cargo space. Granted our camp conditions were far from ideal; however, I could not complain. Clarissa quickly reminded me that we had front row seats to the biggest, brightest, most colorful meteor shower, the Geminid. I have to confess, I was a tad embarrassed when the perfect stranger asked if I was well versed in astronomy. Oddly enough, identifying stars and planets has never really interested me. Knowing that they exist is enough for me. Tonight would be different though. I would have my own personal tour guide to the night sky. I would be formally introduced to my nighttime neighbors. As we waited for our dinner to boil, Clarissa offered a quick astronomy 101 tutorial. Sadly, not even a thousand classes would help me identify a single star. In order to locate a star, I must be able to physically see it. My strength has never been my vision; at night, consider me blind! 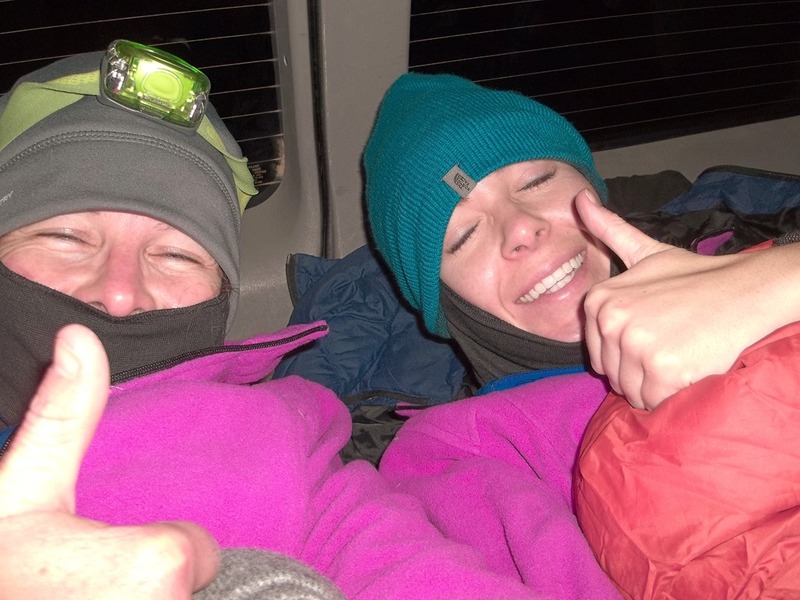 With the evening temperature dropping at a rapid rate, we decided to bundle up in the car while we waited for the meteor shower to begin. The sky was crystal clear, with near perfect visibility. Clarissa was optimistic I would see at least one meteor, failing eyesight or not. Welcome to camp Suburban! This is where a full-size mattress and backpacking gear fits into the confines of the back seat and trunk space. This is also where two women realized that a sense of humor is extremely attractive! A strong sense of humor is generally associated with intelligence and honesty. Our day was a mutual exchange of tennis match sarcasm, nerdy science speak and an uncensored sharing of life experiences. Could our never-ending playful bantering be the catalyst to team happiness? I think so! At times, I feel individual happiness is rather contagious when shared. It’s hard not to like someone who is happy. It’s even harder not to fall for someone who is simply enjoyable to be around. 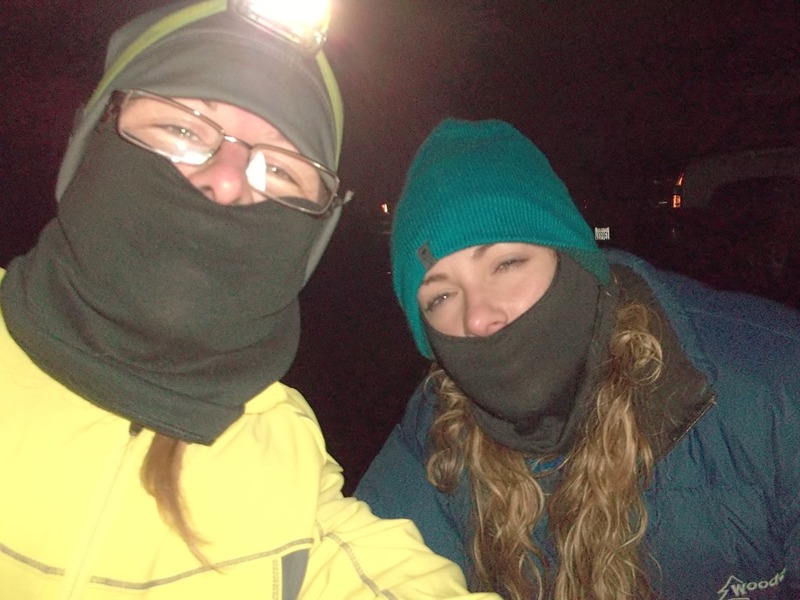 A little before ten o’clock we crawled out of our sleeping bags and ventured into the parking lot. Besides some stabled pack mules and roaming res dogs, we had the entire hilltop and the Geminid meteor shower to ourselves. 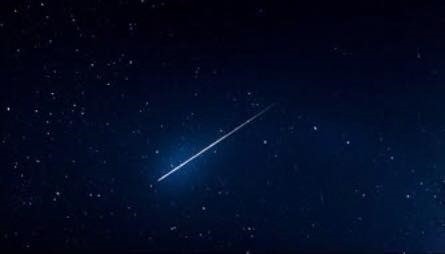 To my surprise, I witnessed ten meteors; a huge accomplishment for someone who expected to see none. 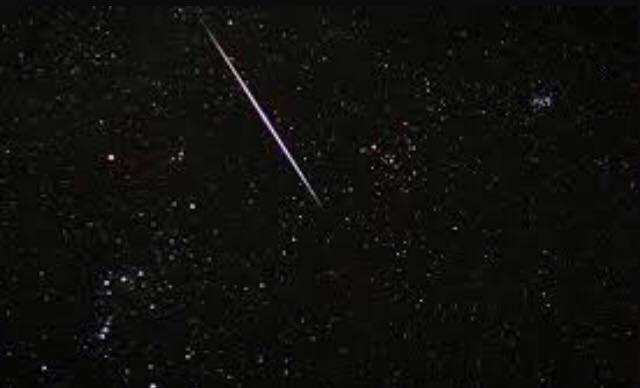 For a lover of the sky, I could tell Clarissa was in meteor shower heaven. Bright lights were blazing through the sky at a fast and furious pace, and somehow she had the ability to follow each and every one of them. Just after midnight, we returned to our four-wheeled icebox. 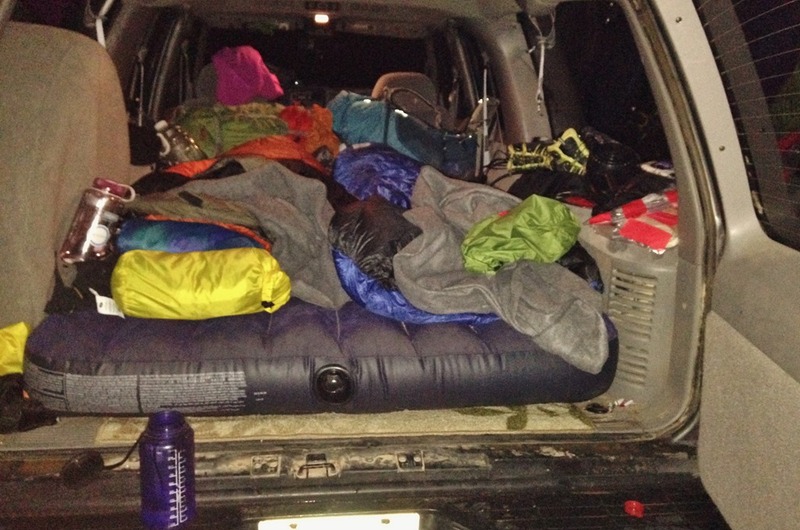 It was going to be a very long cold night in the Suburban. 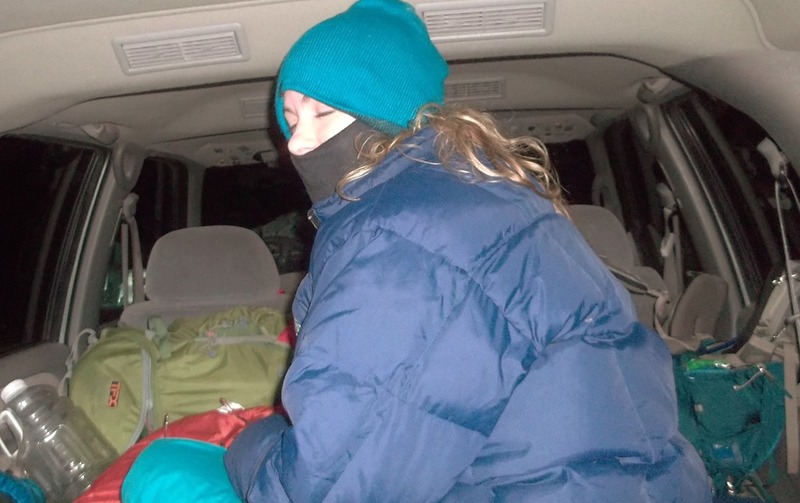 Even though we had winter gear, the chill inside the car seemed far colder than the outside air temperature. Imagine trying to build a friendship cemented in boundaries and trust? 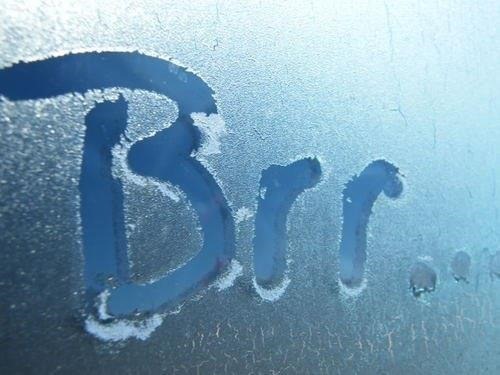 If the temperatures dropped too low, would you be comfortable sharing body heat with a perfect stranger? Have you ever held someone and noticed your breathing was automatically in synch? Deep down you know there is a gravitational pull that keeps you wanting more. Yet, there is no rush! In my 40’s, I would rather establish emotional intimacy through the sharing of thoughts and experiences, as opposed to using physical intimacy to fast track closeness. In my younger years, I feel I was lacking in emotional intelligence. I was incapable of being emotionally and socially vulnerable, so physical intimacy became the medium. In hindsight, I was campaigning for instamacy yet never cultivating intimacy. 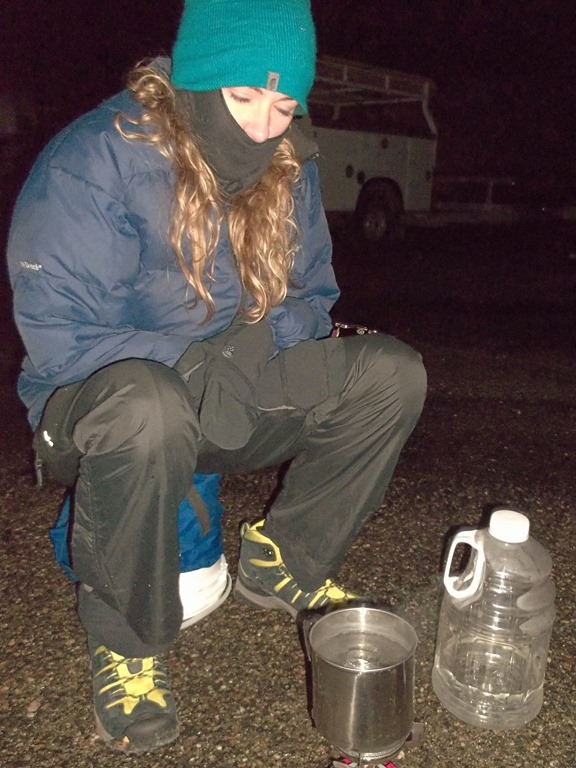 Thankfully, it was our beanie hats, neck gaiters, fleece jackets, and down sleeping bags that facilitated our warmth through the night. As chilled as we both were, I think our bladders suffered the most. 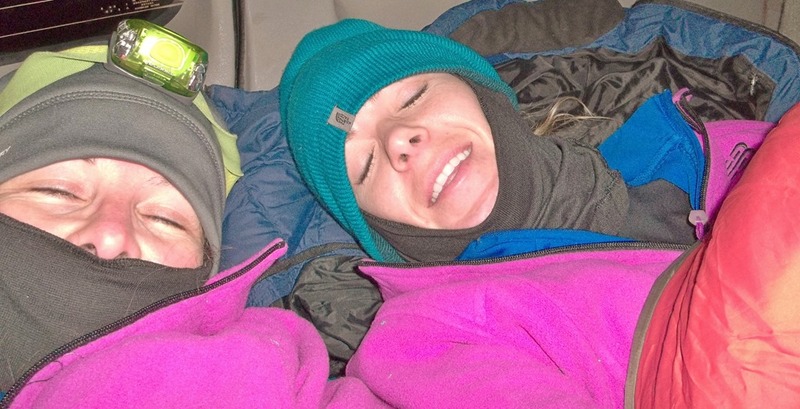 I was not willing to leave the comfort of my sleeping bag, nor was Clarissa for that matter. After holding my urine for over 7 hours, my bladder responded like a resentful unheard spouse; by simply turning away from me and pretending to be asleep. My bladder was officially in hibernation, yet my heart was wide awake. As I looked outside the car window, it was the morning glow on the surrounding cliffs that reminded me of one important life lesson. 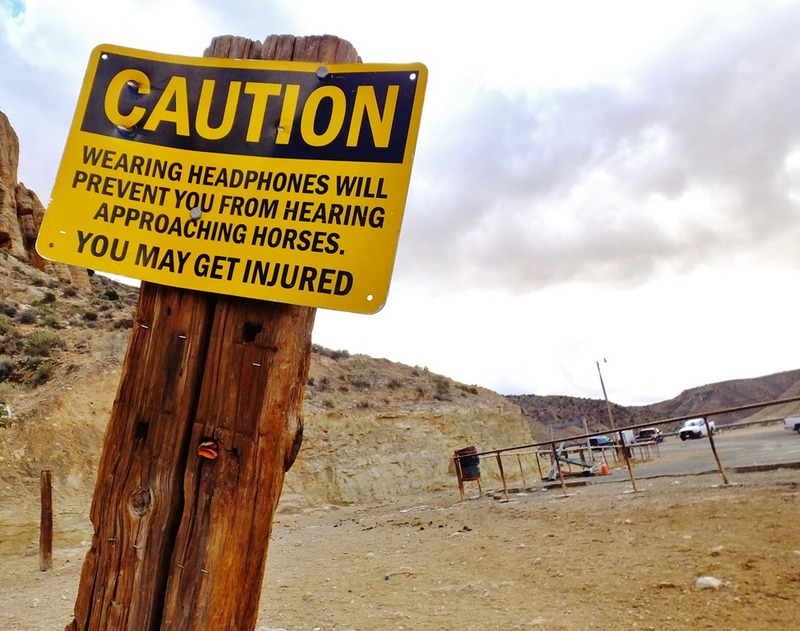 This Post was posted in REMOTELEIGH and tagged geminid, havasupai, havasupai falls, REMOTE LEIGH, supai. Bookmark the permalink. What a wonderful thing to build a relationship on a foundation of conversations and shared humor. Really appreciate your candor and sharing this with us! Your willingness to be vulnerable and to share your heart on this forum overwhelms me. Your words make me smile. The suspense though . . .
thank you BeeKeeper! We must hike together soon! Great blog. 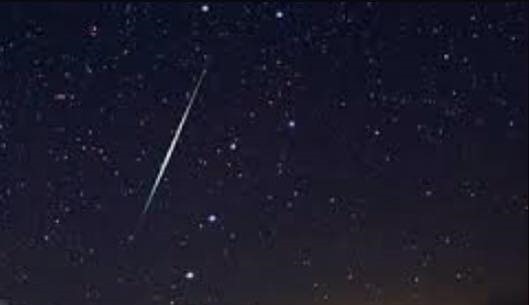 And excellent night photos Of shooting stars!